Reilly had limited preparation because of a shoulder reconstruction, which prematurely ended his 2013 season. 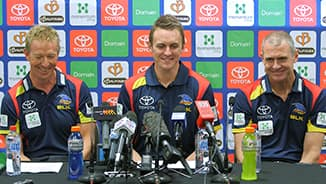 The defender played a total of 10 AFL games in 2014 and celebrated his 200th match in Adelaide’s win over North Melbourne at Adelaide Oval in Round 13. 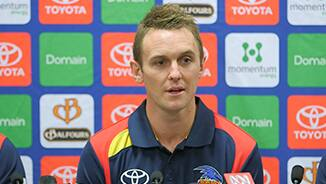 Following the retirement of full-back Ben Rutten, Reilly is the Club’s most experienced defender and will be looked to for guidance on and off the field in 2015. 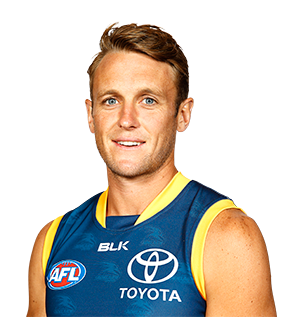 A dislocated shoulder, which required surgery, in Round 14 put a premature end to Reilly’s 2013 season. A damaging defender at his best, the Crows veteran will be hoping to recapture his 2012 form, which saw him nominated for the All-Australian team. Likely to finish his career as a one-club player after signing a contract extension. 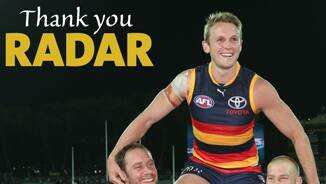 Enjoyed a career-best season in his 11th year at West Lakes. Reilly played a permanent role in defence, excelling with his intercept marking and ability to read the play. The highlight of his season came in Round Six when he took a game-saving mark to help Adelaide to a thrilling victory over Sydney at the SCG. The veteran was recognised for an outstanding season by being included in the 40-man All-Australian squad for the first-ever time. Reilly had a solid year in 2011 averaging 20 disposals and reaching the 150-game milestone against St Kilda in Round 18. The neat-kicking onballer provided strong offensive rebound when shifted to defence in the latter part of the season and at 28 years of age will be one of the most experienced players in the Crows line-up in 2012.